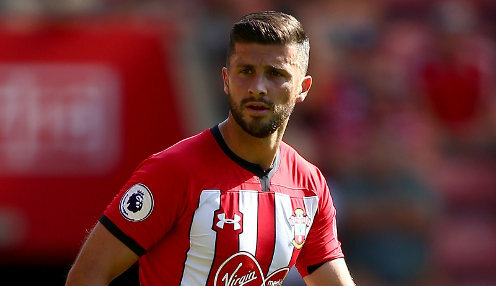 The Republic of Ireland will be without Shane Long for their Euro 2020 qualifiers against Gibraltar and Georgia because of a groin injury. The Southampton forward was forced to pull out of the squad on Tuesday because of the problem and Ireland boss Mick McCarthy moved swiftly to bring in Millwall striker Aiden O'Brien as his replacement. However, while Long will play no part in the Group D matches, Derby County defender Richard Keogh has made himself available to feature despite suffering with a broken hand picked up in the Rams' 0-0 Championship draw against Stoke last week. If Keogh is selected to face Gibraltar on Saturday evening, he will wear a lightweight cast. He said: "I went for the X-ray and at first they were talking about surgery. This was before I spoke to the hand surgeon and I didn't particularly want to do that. "When I spoke to him, I just said, 'Listen, if there's a chance of me playing, I just want to carry on playing if that's at all possible. I don't want to have surgery'. I'd rather just take the risk, I suppose, and just crack on. "He saw the X-ray and said, 'I think we can do that'. If it hadn't been the middle of my finger where it's protected by the other two, I think I might have had to have surgery and been out for bit." Ireland, who are 5/1 to win Group D, are 11/2 to win in Gibraltar by a five-goal margin, while the hosts are priced at 50/1 to win and the draw is 20/1.